My name is Nitasha and I’m 17. My teacher recently asked us to talk about our ro­le models. Classmates started to discuss their favourite cel­ebrities, but for me there was only one answer. My role model is my mother, Yasm­in. When I was 8, our world was turned upside down as my mot­her was diagnosed wi­th breast cancer. The doctors removed the lump and put her on chemo, the effects on her body and face were awful - I barely recognized her. She was then diag­nosed with spine can­cer and it has now also spread to her liver. To make matters even worse, my dad left us during this difficult time and divorced my moth­er. She had an operation 6 months ago and mo­re chemo which left her bed-ridden, but the tumour is now ba­ck and growing, desp­ite the best efforts of her consultant and the nur­ses. She's sadly now been told she only has 2 years to live. She has gone through so much yet still keeps me happy - all she wants is for me to have a good life. I would be lost wit­hout her. She could have given up but ke­eps fighting and is a true inspiration, always smiling throu­gh the pain and never complaining. She is my role model and will be for as long as I live. The only option left for her now in the UK is to start chemo again, but this has­n’t worked. After lo­oking into all optio­ns, we found a renow­ned clinic in Germany offering immunothe­rapy which has worked for so many. It is­n’t available in the UK and is our last hope to beat the can­cer. The biopsy and tests in Germany will cost £25,960. If you can please help in ANY WAY we would apprec­iate it so much, it is something we simp­ly can’t afford ours­elves. Even sharing this page will cost nothing and only tak­es a few seconds - I've read that each Facebook share can on average add £10. Thank you so so much from the bottom of my heart for reading my story. It has be­en very tough for me to put this into wo­rds. I can't bear to see my mother go through this - to know there is treatment avail­able outside the UK which can help her gives us so much hope. Hi, I wanted to provide an update. I would once again like to start by thanking each of you for your continued support and well wishes. With your help my mother was able to go to Germany again for her latest round of treatment. 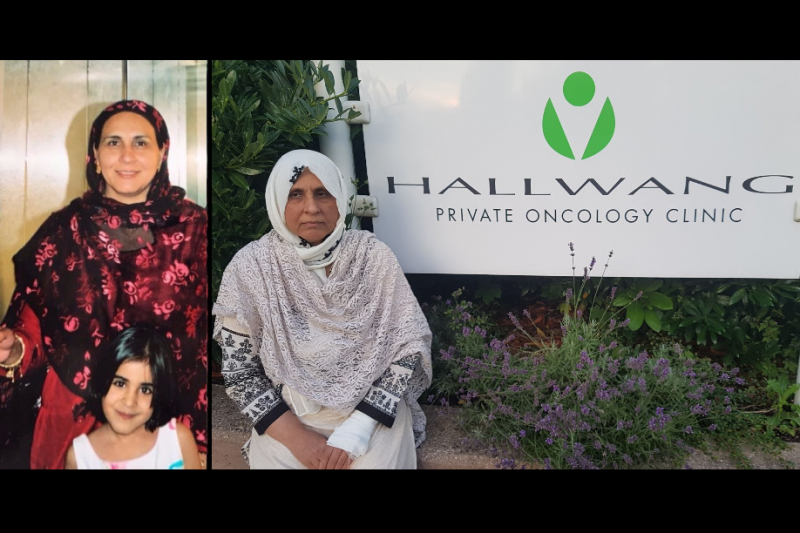 Unfortunately due to suffering from various seasonal illnesses during the last couple of months her travel to Germany was delayed but, having recovered, she managed to attend the Hallwang clinic and came back recently. My mother and I would like to thank you for all your generous support that allowed her to go again. She returned with a far more positive outlook, she has so much more energy and physically seems more well. Her consultant in the UK has also commented on this when examining my mother's recent scan results. This is great news and the treatment is making a real difference. We just hope we're able to continue with her treatment which we can only do with your help, be it through donating, spreading the word or sharing the go fund me page. Thank you all so much once again for helping us to reach our initial target for my mother's tests/biopsy etc. We managed to delay the treatment in Germany as we were short of our target, but my mother is now able to go there for the first round of immunotherapy. She wanted to say a personal thank you to each and every one of you for everything you have done for her. She is so grateful for all your support and has gained strength she never knew she had thanks to the amazing response from you all. Following the results of her scans, we have now been given a 6 month immunotherapy treatment plan by the Hallwang Clinic in Germany. The next 6 months are quite intensive and incur the highest costs as there will be a few visits to Germany. As stated in the previous update, we expected the total amount required to increase. We now require an additional £149,000 for the next 6 months of treatments, so the total on this page is being increased to £247,780. My mother will also need to take medication alongside the immunotherapy treatment for the next 6 months. We are currently trying to get this for her through the NHS, but if we are unable to then she will need to go private for this which will cost £63,000 over 6 months. So this may need to be added to the total required in the coming weeks. We feel blessed that we have managed to get this far, and my mother and I have been truly blown away by your generosity, thoughts, prayers and kind words. And I am confident we can continue this push to get my mother this treatment. Her next round of treatment is scheduled to be in a few weeks, so please support us in continuing to get the help that could save my mother's life. Thank you so much once again and I will continue to update you on her progress. I wanted to provide you all with an update. 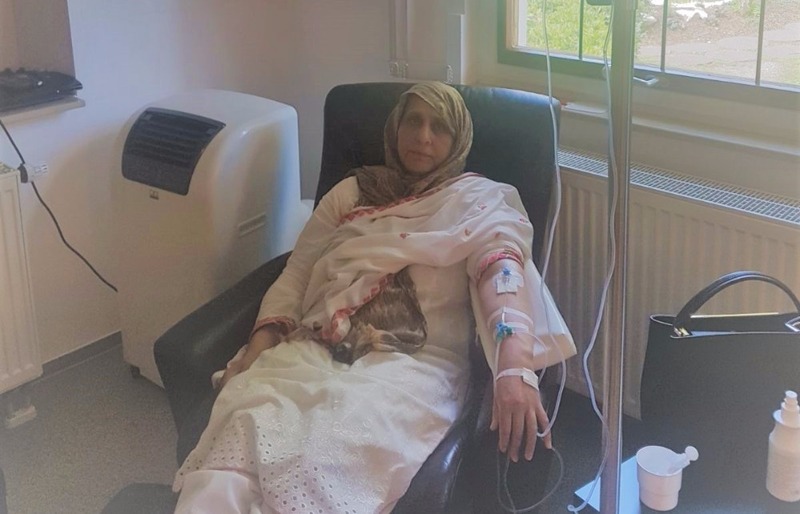 Thanks to your generous donations, my mother was able to go to Germany for the initial phase (which included various procedures, scans, tests and biopsy), this week - I have attached a picture and updated the main picture to show this. The clinic have told her they are able to treat her using certain types of immunotherapy and that there is a good chance of this being effective against the cancer. But of course there will be a significant cost for this treatment. The total figure that now needs to be raised is £98,780 so I have increased the total required on this page. We have already raised £72,900 of this amount - this is thanks to all of you who have so kindly supported us, plus extra money this week from generous offline donors. We now need another £25,880 for her treatment to start. Unfortunately, in order to avoid additional costs (from additional medication or repeating scans/biopsy) and for the treatment to be effective, it needs to start NEXT THURSDAY 3rd August. Following this initial treatment phase we expect there to be more but do not yet know the timescales and costs for this. It all depends on this initial treatment and how my mother's body reacts and so on. We are reaching out once again for you to please do anything you can to help us - and please share this again among your friends and family. We were blown away by how far and wide you all managed to spread our message last time. And we are now asking you to please do this again, as your actions can have an incredible impact. A huge and heartfelt thanks to everyone who has donated and shared, both online and offline - we are truly humbled by the response we have received, which has enabled us to reach our target for the tests and biopsy. Many of you are asking about on-going donations and the simple fact is that, once my mum has had the tests and biopsy, we will be provided with details relating to costs for her on-going treatment which we anticipate will be much higher. So, if you are considering donating but haven't done so as of yet, please do not hesitate and also please continue to spread the word on social media as you have so kindly been doing. We have contacted the clinic in Germany and are in the process of making arrangements - we will of course keep you posted on my mother's progress. Again, we can't thank you all enough for your continued support and prayers. My mother would also like to let everyone know that she has been remembering all the donors and everyone who has helped spread the word in her prayers. She is humbled by the amazing response and comments.